Well, if I get through this it will be a miracle. I’ve been drinking!! Today, we drove 3 1/2 hours from Nashville to Memphis. 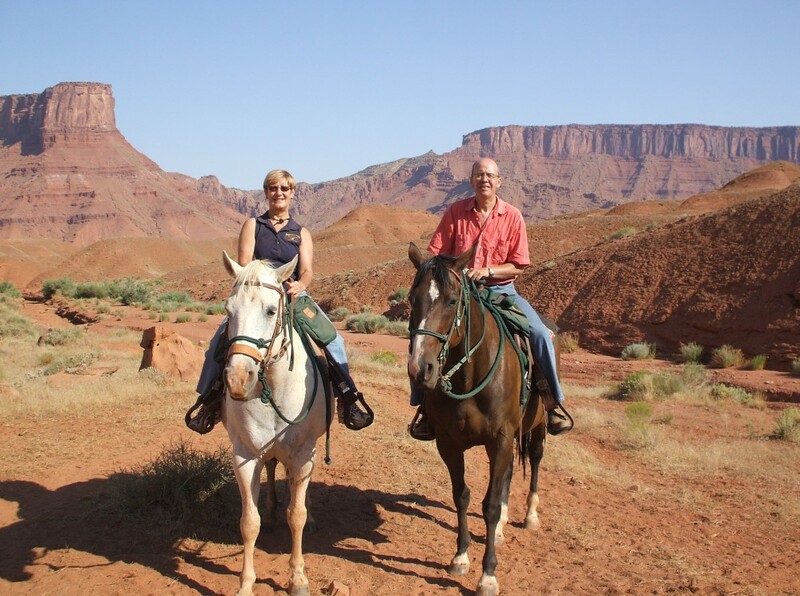 The trip was an easy one, we passed the time listening to Patsy Cline. She was a Country singer who died at the age of 30 in a plane crash back in 1963. So many young Country singers seemed to have died in crashes of one kind or another. Her songs live on today. Check out two of her greatest hits below. The lip syncing is off in the first one. (I don’t own the rights or anything to the videos). 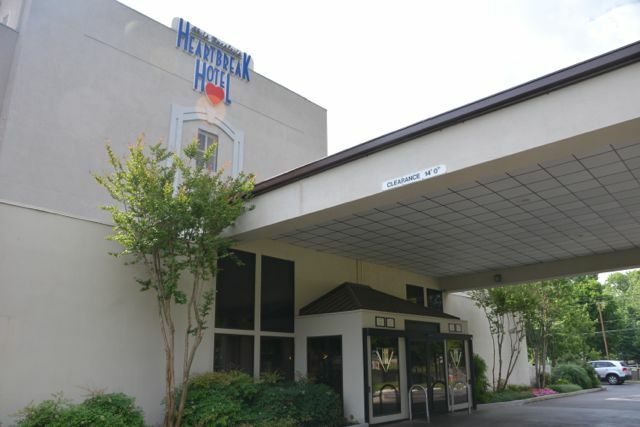 We are staying at the Heartbreak Hotel right next door to Graceland, the home of the King, Elvis Presley. We will do the tour tomorrow so expect more pics then. Tonight we’ve eaten at Marlowe’s Ribs and Restaurant. 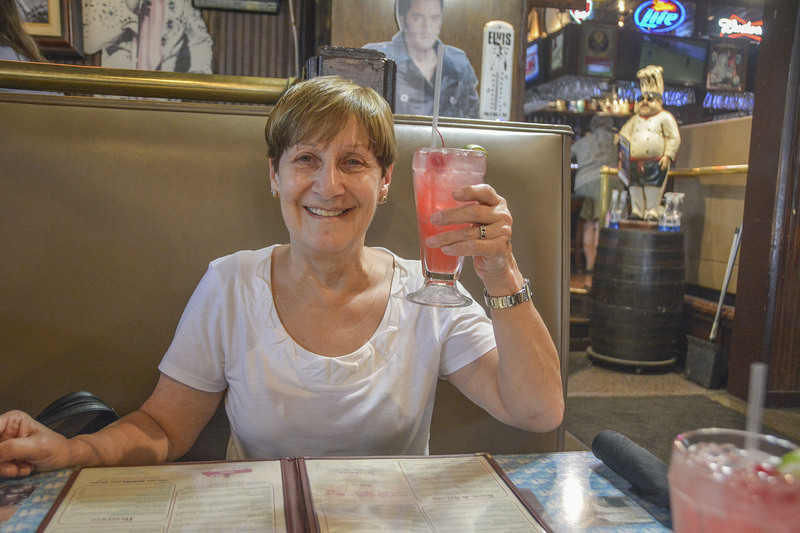 It’s famous here in Memphis, Elvis used to eat here too. The food was excellent and the portions huge. I can understand how easy it must be to get into the habit of eating large portions. Poor Si was rather shocked at the size of his ribs! 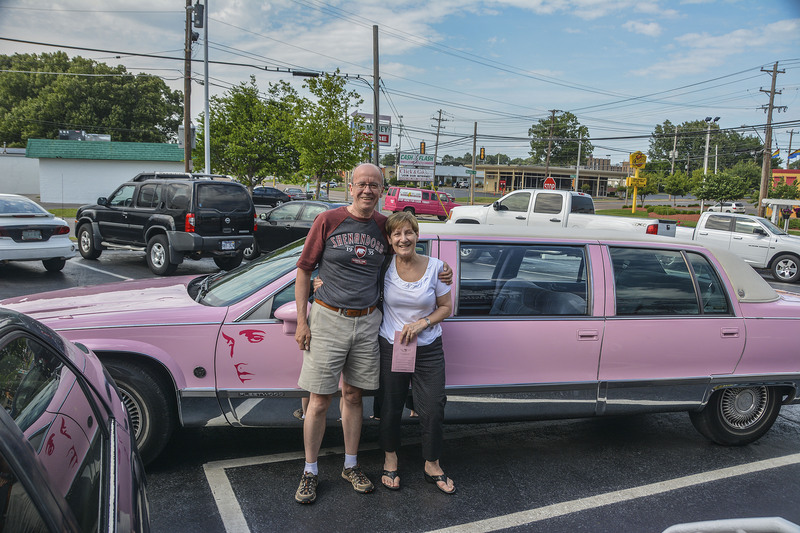 If you phone the restaurant they will come and pick you up in a pink Cadillac limo, so of course we had to do that. They very kindly drove us back to the hotel afterwards and in our case it was a jolly good thing they did!! After starting with Pink Cadillac cocktails and then progressing to other alcoholic beverages we probably wouldn’t have been able to do the mile walk back!! There needs to be a “love” button on this. Thanks for the chuckle today! A pink Cadillac, how cool! You certainly look happy Sandra! 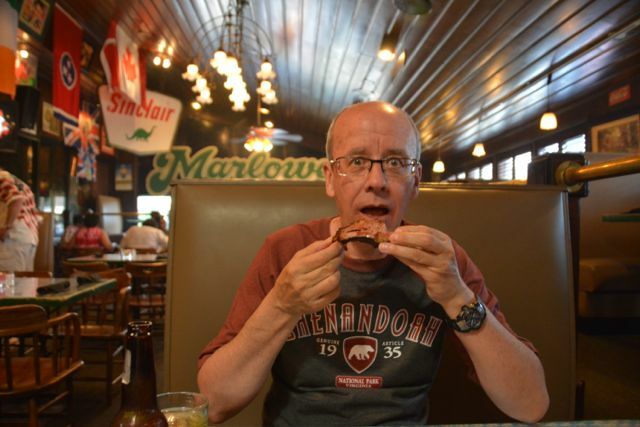 And Si looks like he is in shock…those are big ribs! Well, you know me after a drink or two Dot!! Yes, Si said the same, big ribs indeed.